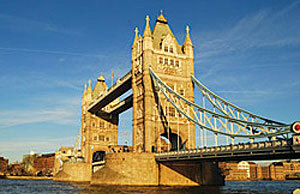 GoldenTours is the UK’s leading Sightseeing company and part of the Gray Line Worldwide Association. Since 1984, GoldenTours have been the local sightseeing experts offering a wide range of daily tours covering all of England’s most well-known attractions. Our tours are escorted by professional guides and include travel by luxury air conditioned coach and include all entrance fees. We appreciate that your leisure time is important to you and have therefore designed our tours to ensure that you have the maximum amount of time at each venue to fully appreciate it and enjoy the experience. Golden Tours / Gray Line London is a name you can count on for impeccable service, high quality tours and value for money! Full and half day tours of our capital city, London, and full day sightseeing tours to many popular destinations including Bath and Stonehenge, Royal Windsor, Oxford, Stratford on Avon, Warwick Castle, Leeds Castle, Canterbury, Dover and the Cotswolds. Indulge in a luxury dinner cruise or participate on a Jack the Ripper tour! We provide our customers with fast-track entry tickets to all of the UK’s major venues, such as the Tower of London, London Eye, Madame Tussauds, London Dungeon and Windsor Castle giving you immediate entry and saving you time waiting in a long line to purchase tickets. Once you purchase the ticket, this is the price you pay - there are no hidden extras. A wide range of theatre shows and theatre and dinner packages. Day Trips and City Breaks to Paris, Edinburgh, Lake District and York. Including airport transfers to Heathrow, Gatwick, and Stansted Airports with a meet and greet representative, port transfers to Southampton, Harwich and Dover and station transfers to St. Pancras International. Contact our dedicated groups department for all your requirements. No group too big or small!